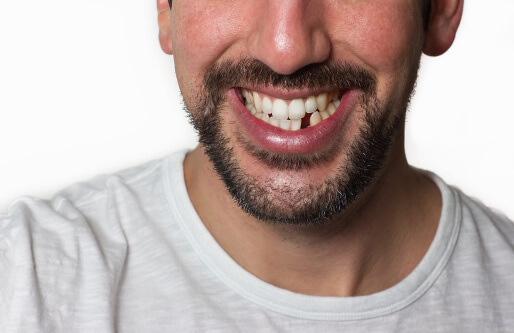 You may be considering replacing missing teeth to enhance your smile, but restoring your missing tooth can also improve your speech and bite. When you lose a tooth, the surrounding teeth may shift to fill the empty space. This can result in bone loss in the surrounding area and permanent changes in the position of your other teeth. If you lose a permanent tooth, the bone supporting your teeth begins to shrink. 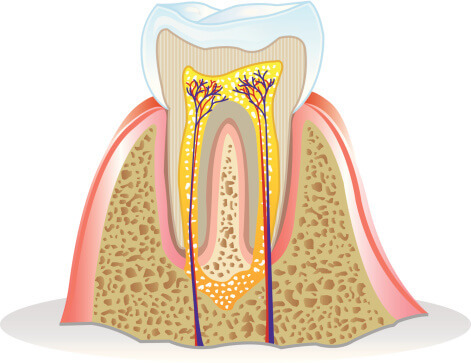 Known as resorption, this process naturally occurs because the force of your tooth no longer stimulates the bone. Resorption begins almost as soon as the tooth is removed and progresses over time. During resorption, the bone loses both height and width. If you have lost multiple teeth, you can eventually experience significant loss of the jawbone. As resorption progresses it can become more difficult to wear removable dentures, as there won’t be an adequate ridge to stabilize the denture. If your bone begins to resorb, the covering gum also begins to shrink. This creates a concavity in the mouth, which can be aesthetically unpleasing. However, the concavity also makes it easier for food to impact under the adjacent teeth. If food begins to impact, it will be difficult to remove the bacteria from your gums. 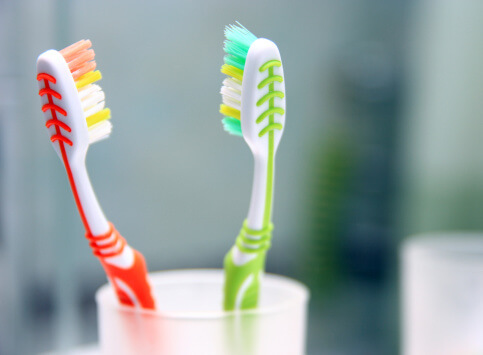 This can ultimately lead to gum disease , tooth decay, and or infection. Drifting is a process where the adjacent teeth begin to occupy the vacant space left by the missing teeth. Tooth loss can also cause opposing teeth to drift down into the vacant space. Teeth naturally tend to move toward the front of your mouth and toward the opposing jaw. However, the adjacent and opposing teeth prevent them from actually moving. If your teeth drift, it can cause discrepancies in the height and contours of your gum tissue, which can affect your bite and smile. At John Carson DDS, our friendly dental team builds strong, lasting relationships with our patients. Our goal is to leave you confident in understanding your dental needs and dental treatment goals. For more information about cosmetic dentistry in Tucson, please call (520) 355-4855. Dental crowns, fillings, and professional whitening can improve the health and appearance of your smile, but prevention is even more effective. You can avoid developing cavities and food stains in the first place by paying closer attention to your diet. This means knowing what foods to avoid as well as what foods to include as part of your daily oral health routine. 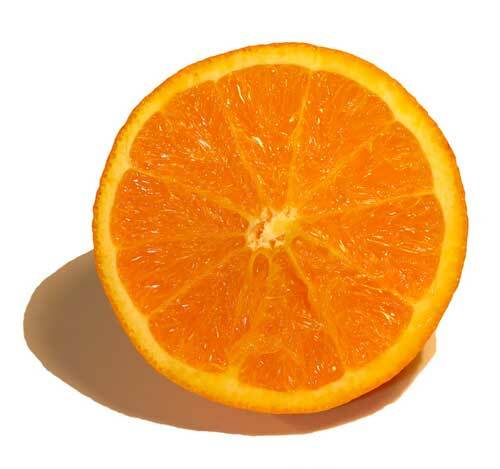 While citrus fruit and citrus juices are rich in vitamin C and other important nutrients, they can harm your tooth enamel. In particular, the acidic content of grapefruit and lemon juices can slowly erode your enamel over time. Chewy candies like caramels and taffy can easily stick to your teeth. The longer it takes to remove the sticky substance, the more time bacteria in your mouth have to feast on the sugar. As the bacteria consume the leftover sugar, it creates an acid that can wear away the outer layer of your tooth enamel. Like the saliva naturally in your mouth, water helps rinse sugar and acid off of your teeth. Water also naturally contains fluoride, which can help protect your tooth enamel against erosion. For this reason, choosing water over citrus drinks and sugary sodas can help enhance your oral hygiene. The mineral responsible for strengthening your teeth is hydroxyapatite. Calcium is an essential ingredient of this mineral, so calcium-rich dairy products can help build strong, healthy teeth. John Carson DDS leads a skilled dental team truly focused on your personal oral health care. As a patient of our dental office, you can achieve a beautiful, healthy smile while enjoying a high level of Tucson dental care. If you are looking for a cosmetic dentist in Tucson, please call (520) 355-4855. For patients who suffer from dental fears and phobias, sedation dentistry offers a relaxing, anxiety-free treatment experience. This encourages those afraid of the dentist to seek the dental care needed to maintain healthy, functioning smiles. During a sedation appointment, the dentist will administer sedatives orally, through IV, or as a local anesthetic. Sedatives put the dental patient in a relaxed, calm state of mind. While patients may feel sleepy, they don’t actually fall asleep during the procedure. However, many dental patients who use sedation dentistry feel as though their appointments lasted only a few minutes. This is especially beneficial when a dental procedure takes hours to actually perform. Dentists can then perform complex dental procedures, like smile makeovers or reconstructive procedures, in fewer appointments. The most common reason patients choose sedation dentistry is to ease the anxiety associated with dental treatment. Many people postpone necessary dental care because they become anxious about visiting the dental office, especially if they need complicated dental procedures. Scheduling regular dental checkups is crucial for maintaining oral health. Sedation dentistry helps patients feel comfortable during the treatment process, so they are more inclined to seek necessary treatment. Sedation dentistry also allows patients in need of complicated cosmetic dentistry procedures to obtain a smile that is great looking and healthy. People who visit the dentist regularly are less likely to develop serious health problems like gum disease and tooth decay. Sedation dentistry encourages people to schedule routine appointments by easing their fears. As a result, sedation dentistry patients are more likely to schedule routine dental care every six months. This means they are also less likely to neglect their oral health at home or wait until a serious problem arises before seeking treatment. At John Carson DDS, our goal is provide safe, comfortable, and pain free treatment experiences for our Tucson patients. We understand that many patients feel anxious during a dental visit, so we offer a variety of sedation options based on a patient’s’ level of comfort. To learn more, please call us at (520) 355-4855. A major cause of tooth loss in adults, gum disease is an infection of the tissues supporting the teeth. Gum disease is usually painless, so many dental patients don’t recognize gum disease is developing. Some warning signs of gum disease include bleeding, swollen gums, and gums pulling away from the teeth. Research has linked tobacco use to a range of serious illnesses, including cancer, lung disease, and heart disease. In addition, smoking and tobacco use is a key risk factor in the development and progression of gum disease. In addition some people are genetically predisposed to developing gum disease. Even with superior oral care habits, those genetically predisposed are likely to develop gum disease. In these cases, identification of a predisposition and early intervention treatment is critical for preventing gum disease. Like smoking, stress is also linked to very serious health problems, including hypertension and cancer. Stress lowers the body’s immune system, making it more difficult for the body to fight infection. As the body experiences difficulty fighting infection, the easier it is for bacteria to infect the gums. Certain drugs, like oral contraceptives, anti-depressants, and heart medications can compromise oral health. For this reason, patients should notify their dentist of all medications they are taking and of any changes in their overall health. Some people unintentionally grind or clench their teeth throughout the day and night. This puts excessive force on the supporting tissues of the teeth, which can intensify gum disease. Like stress, a poor diet can compromise the body’s immune system. Gum disease begins as a bacterial infection, so a weakened immune system makes it easier for the infection to spread. Additionally, research has discovered a link between obesity and an increased risk for gum disease. At John Carson DDS, we offer optimal dental care centered around your needs and goals. If you are looking for a dentist in Tucson, please give us a call at (520) 355-4855. We offer general and cosmetic dentistry services, including root canals and dental crowns. There is a common misconception that root canals are painful. In reality, a root canal helps relieve tooth pain by removing the infected tooth nerve and pulp. White enamel and a hard layer called dentin create the structure of a tooth. These layers house a soft, delicate tissue called pulp. This pulp contains blood vessels, nerves, and other connective tissues that helped the tooth develop. Endodontic treatment targets the inside of the tooth. This becomes necessary when the pulp is inflamed or infected. Tooth decay, cracks and chips can all lead to infection inside of the tooth. Some people develop damage to the pulp from trauma, even when the tooth shows no visible chips or cracks. Left untreated, infection of the tooth’s pulp can lead to severe pain and abscess. Once a dentist removes the infected pulp, he or she will carefully clean and disinfect the area. Next, the dentist will seal the area with a rubber-like material called gutta-percha. The dentist will then place a crown or filling for added protection. After a root canal, the tooth is still fully functional. Depending on the condition of the tooth, root canal treatment usually takes one to two appointments. Thanks to advances in dental technology, for the patients prospective modern root canals are very similar to routine fillings and patients should expect a comfortable appointment. If you are in need of a root canal in Tucson, John Carson DDS offers optimal dental care centered around your needs and treatment goals. You can reach a member of our Tucson dental team by calling (520) 355-4855. We strive to build a strong, lasting relationship between our patients and our friendly dental team. The temporomandibular joint connects the lower jawbone to the skull in front of each ear. This joint is critical for eating, talking, and chewing because it allows the jaw to move up and down and from side to side. When someone develops problems with the jaw and muscles that control the temporomandibular joint, he or she may begin to experience symptoms in the muscle, jaw or joint itself. The most common symptoms associated with temporomandibular joint disorders are pain and discomfort. This pain may be temporary or it may last several years. Some people experience pain in just one side of the face, while others develop pain around both joint areas. This pain may develop in the face, jaw, joint area, neck and shoulders, or around the ear. Chewing, speaking, and yawning can trigger the pain associated with TMD. In more severe cases, people with TMD have difficult opening their mouth wide. Sometimes, their jaws may get stuck or locked in an open or closed mouth position. It is also very common for someone with TMD to hear a clicking, popping, or grating sound when opening his or her mouth. Pain may not necessarily accompany this popping and clicking noise. TMD affects the joint responsible for opening and closing the jaw, so it can cause problems with someone’s bite. For example, someone who develops TMD may begin to sense that his or her upper and lower teeth aren’t fitting together properly. People with TMD may also begin to feel tired in their faces or begin to notice swelling to one side of the face. Toothaches, headaches, and dizziness are also very common symptoms when a problem arises with the temporomandibular joint. If you are experiencing symptoms of TMD, early dental treatment can help prevent future jaw problems and discomfort. At John Carson DDS, we believe in creating a smile that is both great looking and healthy. To learn more about our cosmetic dentistry services in Tucson, please contact us at (520) 355-4855.